Remote sensing is the process of detecting and monitoring the physical characteristics of an area by measuring its reflected and emitted radiation at a distance from the targeted area utilizing special cameras that collect remotely sensed images. 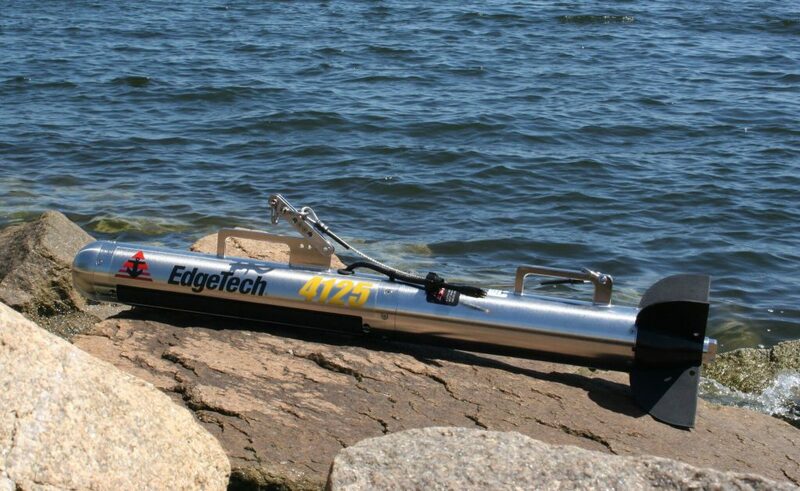 EdgeTech’s 4125 Side Scan Sonar System was designed with both the Search & Recovery (SAR) and shallow water survey communities in mind. The 4125 utilizes EdgeTech’s Full Spectrum® CHIRP technology, which provides higher resolution imagery at ranges up to 50% greater than non CHIRP systems operating at the same frequency. This translates into more accurate results and faster surveys, thus cutting down on costs.Two dual simultaneous frequency sets are available for the 4125 depending on the application. The 400/900 kHz set is the perfect tool for shallow water survey applications, providing an ideal combination of range and resolution. The 600/1600 kHz set is ideally suited for customers that require ultra high resolution imagery in order to detect very small targets (SAR).